With chicken, parmesan, ricotta and mozzarella cheeses. New! Since 1827. Freshly made pasta. 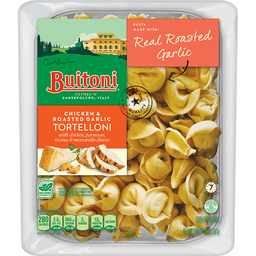 Tortelloni made with real roasted garlic. 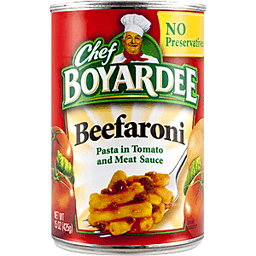 Inspected for wholesomeness by US Department of Agriculture. 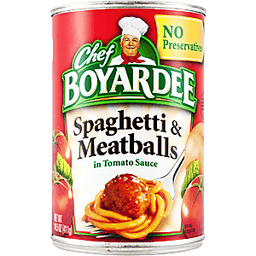 Per 1 Cup Serving: 280 calories; 2.5 g sat fat (13% DV); 360 mg sodium (15% DV): 2 g sugars. Good food, good life. Contact Us: www.buitoni.com. 1-800-727-0050. 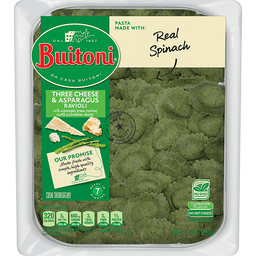 Good to Know: Buitoni pasta is made fresh with simple, quality ingredients and no preservatives. Nestle Nutritional compass. With asparagus, grana padano, ricotta and parmesan cheese. New! Since 1827. Freshly made pasta. 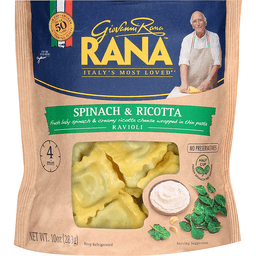 Pasta made with real spinach. 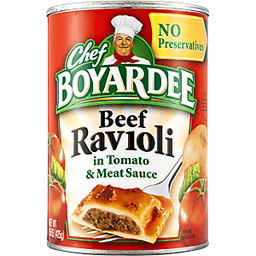 Per 1 Cup Serving: 330 calories; 4.5 g sat fat (23% DV); 580 mg sodium (24% DV); 3 g sugars. Good food, good life. Contact Us: www.buitoni.com. 1-800-727-0050. 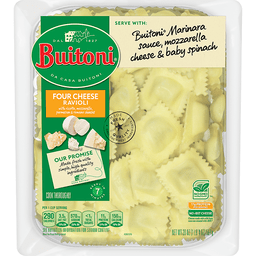 Good to Know: Buitoni pasta is made fresh with simple, quality ingredients and no preservatives. Nestle Nutritional Compass. Certified organic. USDA organic. Serves two. 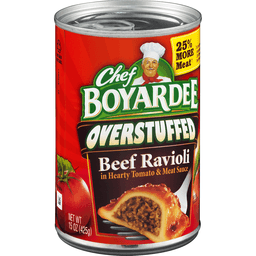 Proponents of the Ravioli Revolution: Recently, I received a call from my Italian cousin. He told us about a foray he'd had recently where he and his family went hiking and singing in the hills of northern Italy near his home. Baskets swung full of crusty country bread, fragrant cheeses, fruits, and chianti, while all of them hunted for wild mushrooms. 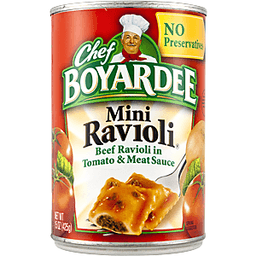 After I got off the phone, we wanted to recreate a picnic in Italy with our ravioli. Imagine yourself hungry after a long day of foraging for fresh mushrooms. Sit down and relax. Dinner is served. 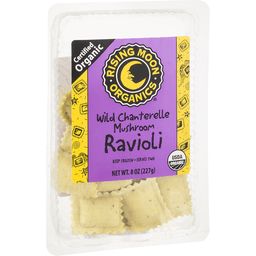 Rising Moon Organics Wild Chanterelle Mushroom Ravioli. Visit us at www.risingmoon.com. Certified organic by Quality Assurance International (QAI), San Diego, CA 92122 USA. Product of USA.